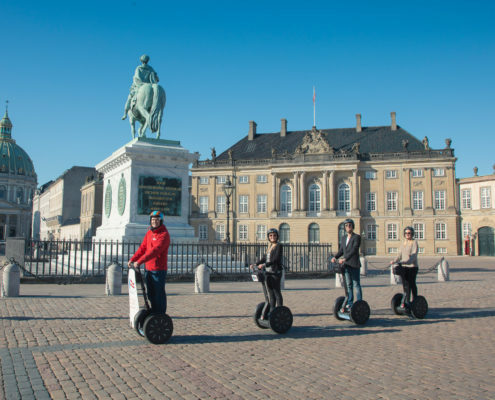 Segway sightseeing with the best rated Segway tours in Copenhagen! Riding a Segway is intuitive and easy to learn. 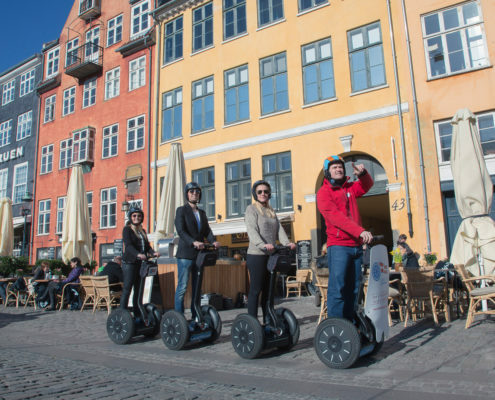 Everyone can join and have a blast on our Segway tour. After introduction and training we will make our way through the charming streets of Copenhagen. Our new and stylish casco helmets are each equipped with a built in radio receiver. In HIFI-quality you will be able to tune in to your local guides many fun and interesting stories of Copenhagen. All tours include: Helmet with in-built live commentary from local guide, complimentary drink after the tour, personal recommendations and a souvenir.